If you have used designer handbags, you can also sell it online or in your local area. Women love designer bags but most of them can’t afford to expensive bags. 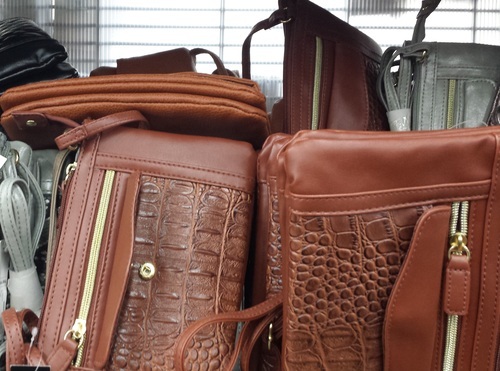 Despite the high price, a lot of women are willing to shell out money for these great bags. With this in mind, it would be a great idea to sell designer bags. You don’t have to leave the comforts of your home to sell these bags as long as you have a computer and internet connection. The first thing that you have to do is to create a website. This is where you will sell the designer handbags. There are many websites that sell handbags and it is important that you get higher rankings to get more site visitors. Getting visitors is not enough because you have to convert them into real customers. Conversion rates should be maintained high to increase sales and profits. You have to develop an optimized website. There are many info sources online that you can use to help you in creating optimized content. Decide on the domain name and as much as possible, you have to include your targeted keyword on the name. Choose an attractive and catchy name for the business that can be easily remembered by potential clients. Another way to sell designer handbags is to become an affiliate. Why don’t you check out the popular manufacturers of designer handbags and see if they offer affiliate programs? If you can find one, then you’ve found the perfect opportunity to sell designer bags. However, the only disadvantage is that you will only be limited to a certain brand. If you want to sell different brands of designer bags, you can look for suppliers of these handbags. You can use the internet to look for a reputed supplier that can offer you with the best deals at a reasonable price. Selling designer handbags can be fun and exciting. It’s a great way to make money from the comforts of your home. If you don’t want to maintain inventory at home, you can find a company who will just drop ship the items to your customers. The inventory will be stocked in another place and you will no longer have problems in maintaining it. This is a great option for new business owners like you to own a business with ease. Designer handbags never go out of style and since women love them, you will always have customers. Start selling your handbags today. You can also sell your used designer bags if you like in stores like eBay or in your very own online store. Hey, my name is meka. How would I go buy starting my own handbag and shoes buisness online? I have not started a business yet, however I am currently just doing research on how to set up one. My interest is on selling designer handbags for women online. can you please tell me the best way of going about this. Hello Cindy, My name is Tatjana, I would like to get more information about your handbags selling business. I am very interesting in this topic since Iâ€™m planning to start up a new online handbags stores in Europe, and Iâ€™m very interesting to find out more information about: if you are working on European market, or with European costumers, what type of products you have (if it possible to see the catalogue), prices, drop shipping service. Looking forward to hear from you My email is tak982@yahoo.com, Thank you! I'm interested in selling designer handbags and shoes in the my country. Can you advise more detailed information about companies that also offers drop shipping. Poland, Kielce. I'm interested in this business. Send me some info please. I have an online shop. hey my name is Judith how can i start hand bag business . I really want to start one . I am in the Chicago area. I want to sell on an affiliate site. Help me out! Hallo, I'm very interested in online business in klang valley. Do anyone have any idea? And also business I want to start the business but dunno how to order ? Hi! i'm much interested in hand bad business. but i dont know how to start it and where,how i can purchase these goods from. i will be grateful if u can assist me more with more information. thank you. I would like to get more information about your handbags selling business. I'm starting a designer bags business but have no idea of how much capital I need to start with.. any help?